There’s an old saying that’s been passed around for millennia (maybe more? ): We’re not all created equal, or not everyone is created equally, or something like that. And while that may be true, it definitely seems that not all regions are created equally, as some don’t get the same offerings as others. Such is the case for the Middle East, who, according to Reddit users, doesn’t get Quantic Dream’s 2010 interactive action-adventure game, Heavy Rain, as part of July’s PlayStation Plus free games. As stated in a Reddit thread, Middle Eastern PS Plus subscribers don’t get Heavy Rain. Instead, they get Housemarque’s 2017 twin-stick shmup, Nex Machina. Furthermore, Middle Eastern PS4 owners get the standard version of Treyarch’s Call of Duty: Black Ops III for free if they have an active PS Plus subscription. (Searching for the game in the American PlayStation Store yields the Call of Duty: Black Ops III Zombie Chronicles edition, which is $59.99 USD.) Other than this change, the rest of the PlayStation Plus offerings for the Middle East seem to match up with the American PlayStation Plus offerings. 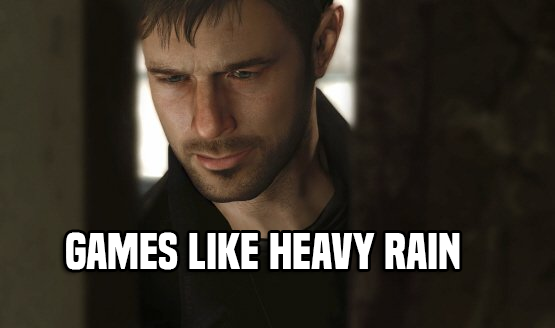 However, it seems all users are having a minor issue downloading Heavy Rain. According to VG247, some people can’t download Heavy Rain because they already own Beyond: Two Souls, Quantic Dream’s 2013 interactive action-adventure game that was offered as part of May’s PlayStation Plus free games (alongside Rayman Legends for PS4, Risen 3: Titan Lords and Eat Them for PS3, and King Oddball and Furmins for PS Vita). An error message that reads “You are not able to download this product for the following reason(s): you already own Beyond: Two Souls” may pop up when attempting to download the game. One theory is the bundle package that includes both Beyond: Two Souls and Heavy Rain was offered in May, and if you downloaded it, there’s no way to download Heavy Rain because you’d already own both – according to the PlayStation system, at least. There is a workaround for the time being – downloading the game from the web store instead of directly from the PlayStation 4 – but it’s unclear if Sony has remedied the problem.